On this day in Duluth in 1920, Victor Anneke became president of Fitger’s Brewing Company. Born in 1892, Victor Anneke had gone to work for his father and August Fitger in 1918 after completing college. 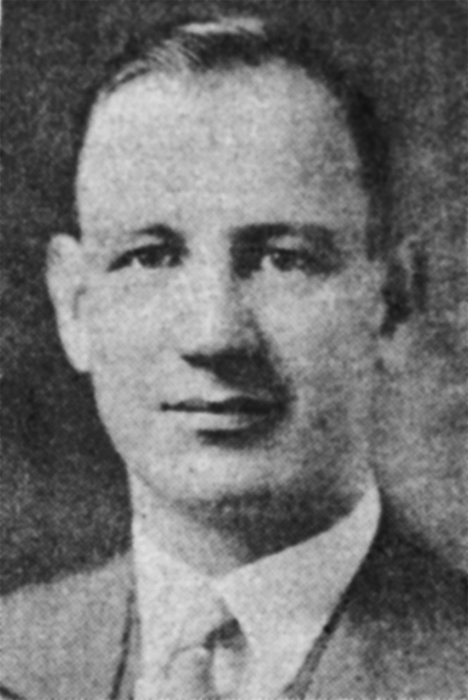 Percy Anneke suffered a stroke on the last day of 1923, after which Victor took over as the president of the Fitger Company (August Fitger was busy in California, where he had several other companies). With the help of John Beerhalter and his father-in-law Charles Krause, Anneke kept Fitger’s alive throughout Prohibition and the Great Depression. Just after beer became legal again in 1933, Anneke, his wife Elsa, and one of their sons were injured in a car accident. All, including their chauffeur, were hospitalized. It took Anneke, who already suffered from injuries received in a 1917 motorcycle accident, until the following summer to recover. Anneke never fully recovered and despite much time spent soaking in mineral spas in Texas, his health declined. He spent much of 1937 in and out of Duluth’s St. Mary’s Hospital, where he died on October 20. His wife Elsa spent her remaining years a widow, but often found herself in the public eye. A virtuoso pianist, between the 1920s and 1950s she performed as an acclaimed soloist with the St. Louis Symphony Orchestra, the Minneapols Symphony Orchestra, the Chicago Symphony Orchestra, and, naturally, the Duluth Symphony Orchestra. She died in 1995 just eleven months shy of her one hundredth birthday. You’ll learn a lot more about the Annekes and Fitgers and many other brewing families in Naturally Brewed, Naturally better: The Historic Breweries of Duluth & Superior when it comes out in September 2018. Meanwhile, you can read a brief history of Duluth’s breweries from 1859 to 1972 here.